Our machine and tooling design group has one of the most extensive backgrounds in automated machinery and tooling design in the country with industry experience ranging from automotive to furniture, aviation, medical, food processing, and others. In manufacturing support, initial designs must perform and function the first time. AroMech’s consistently maintained, structured design procedures insure client specifications are maintained even with our designs being remotely generated in 3D, proven traditional forms of manual design check, detail check, and backcheck remain in place. Our clients have complete access to a virtual representation of the final product for review, sales, or approvals. Client collaboration to ensure flex, safety, setup, function, cost and viability are accomplished via virtual reality, video simulation, 3D file sharing allow AroMech to connect with our clients seamlessly. 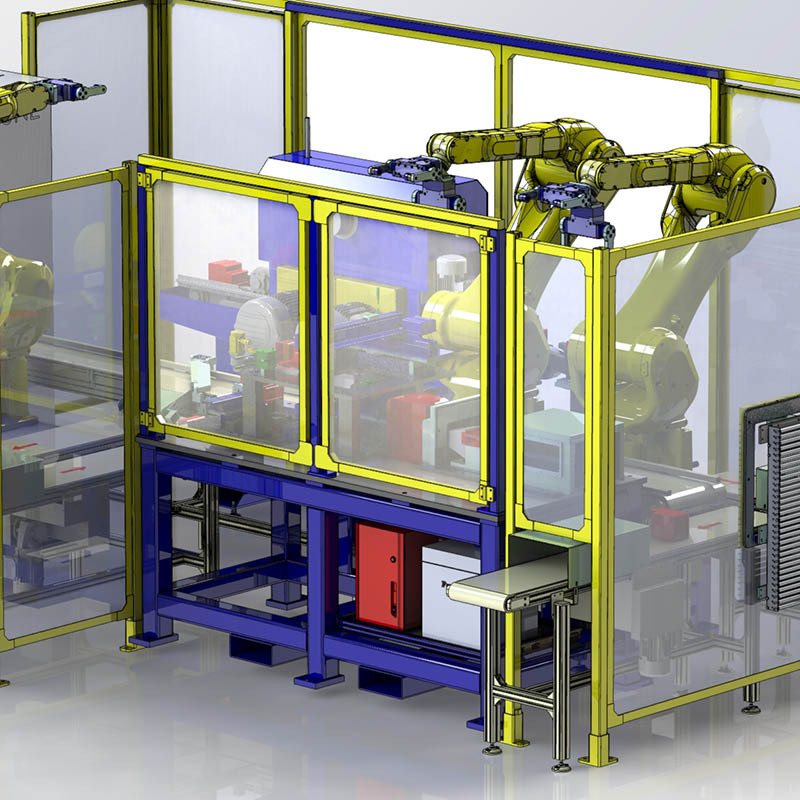 AroMech’s focus on providing our customers with machines that fit into their high volume manufacturing environments has led to innovative solutions in Virtual Reality. Our team designs machines, virtually builds our customers’ facilities and places the new machines in the operating environment, helping our customers see how the new machines will function, how the machine will flow in their processes and how specific functions will be carried out. By providing Virtual Reality before machines are built and installed, AroMech insures satisfaction before anything is built or placed, providing value for our customers. 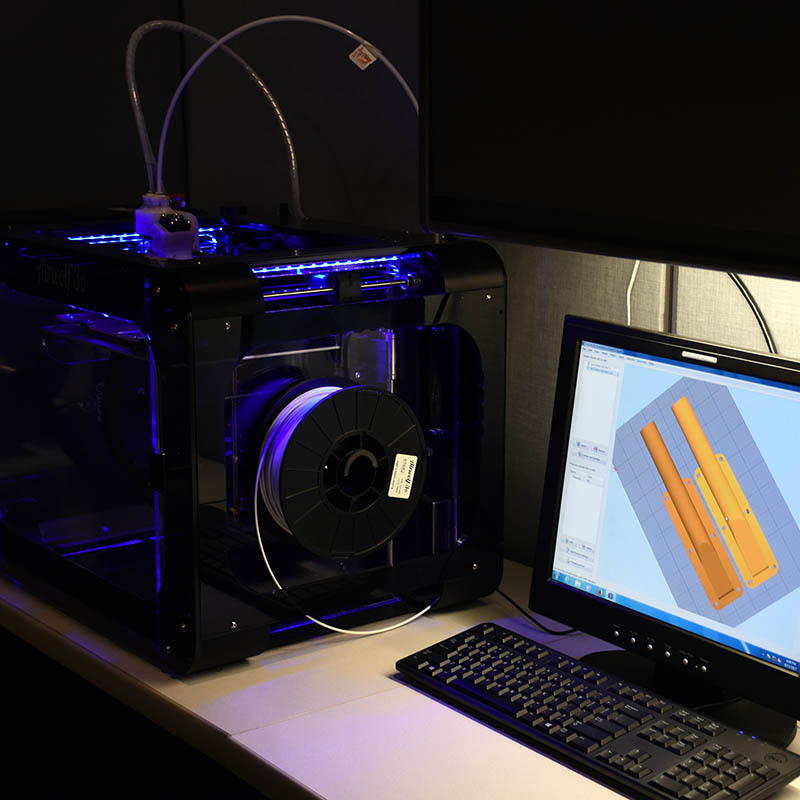 Our team is always looking for ways to provide our customers with a quicker, more accurate path to designing machines that will perform beyond expectations in their manufacturing environments, including 3d prototyping and printing. By utilizing 3d prototyping and printing, AroMech can more quickly see how elements of a machine will fit into an overall solution and examine tolerances, eliminating costly tooling, milling or other more costly or time consuming methods of prototyping. We believe having the engineers and designers who developed the machinery having the ability to more quickly create physical models provides value to our customers.